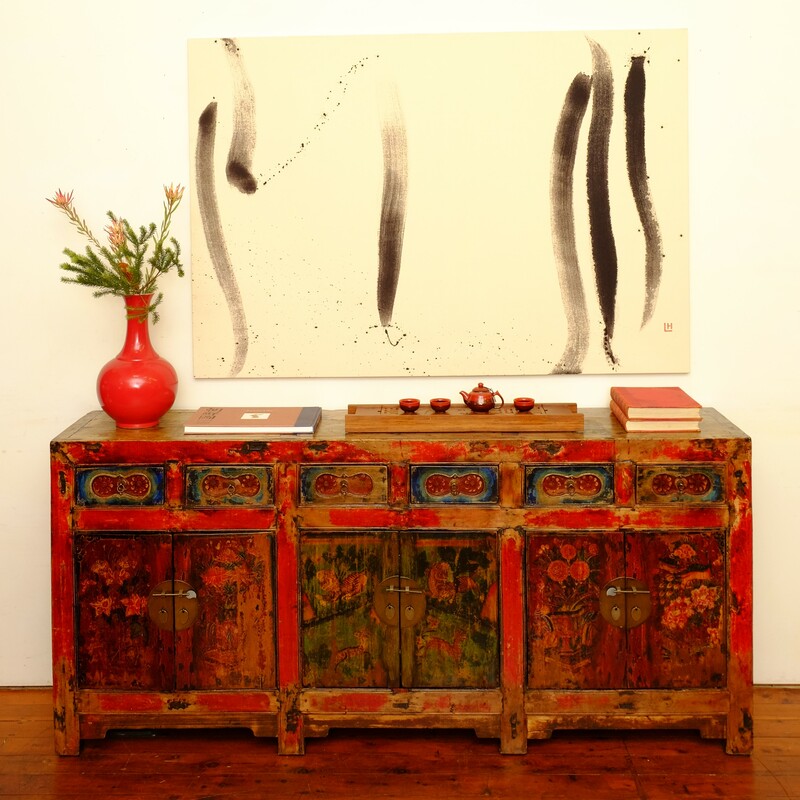 #15027 This 6-drawer painted sideboard was made from willow in the late 1800s in Ningxia province. It is 198 cm long, 42 cm deep and 90 cm high. #15027 Detail of the right-hand door showing vehicles driving up to a temple. 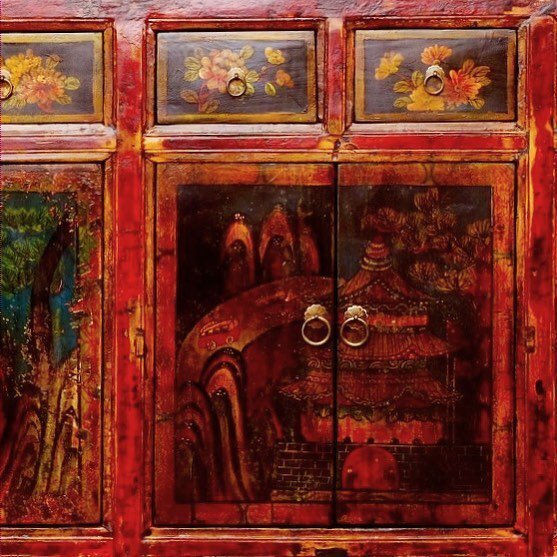 No – they did not have buses in Ningxia in the 1800s, but they did re-paint their sideboards as the original scenes wore out over time!! 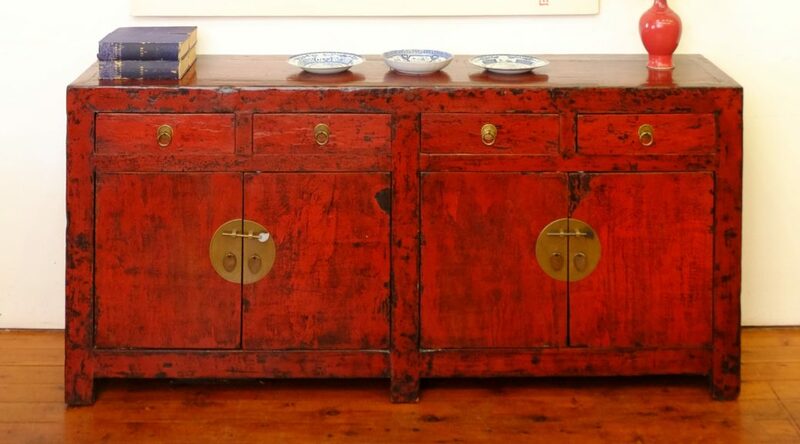 #15077 This four-drawer sideboard dates from the early 1900s. 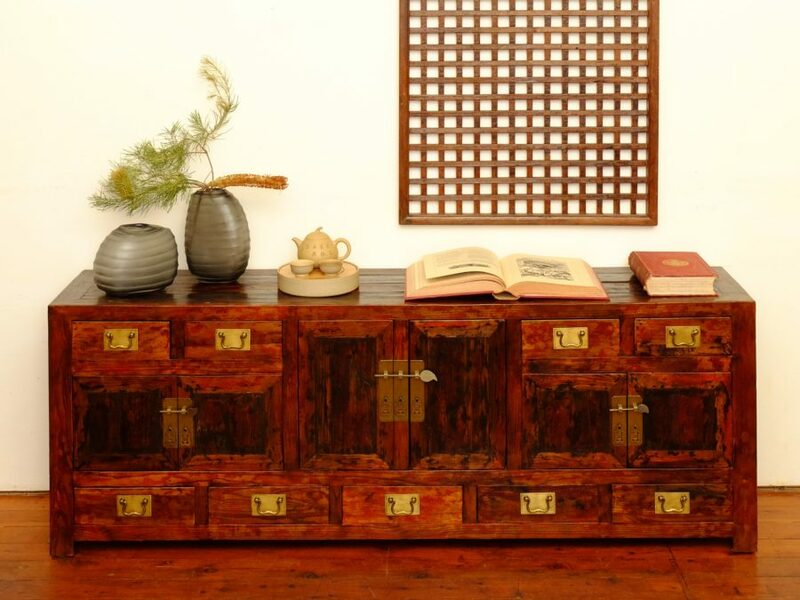 Made from northern elm in Shanxi province, it measures 160 cm long, 38 cm deep and 85 cm high. 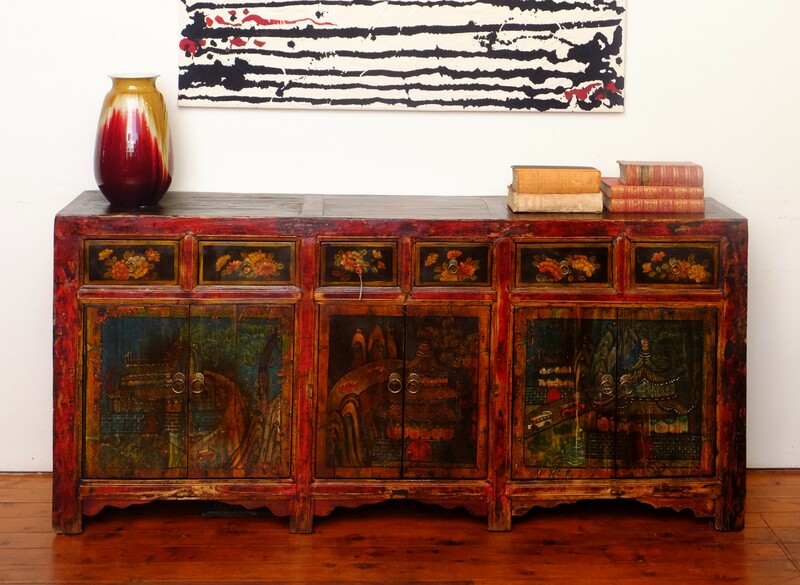 This black gilt painted six-drawer sideboard was made from northern elm in the early 1900s in Shanxi province. It is 201 cm long, 41 cm deep and 90 cm high. 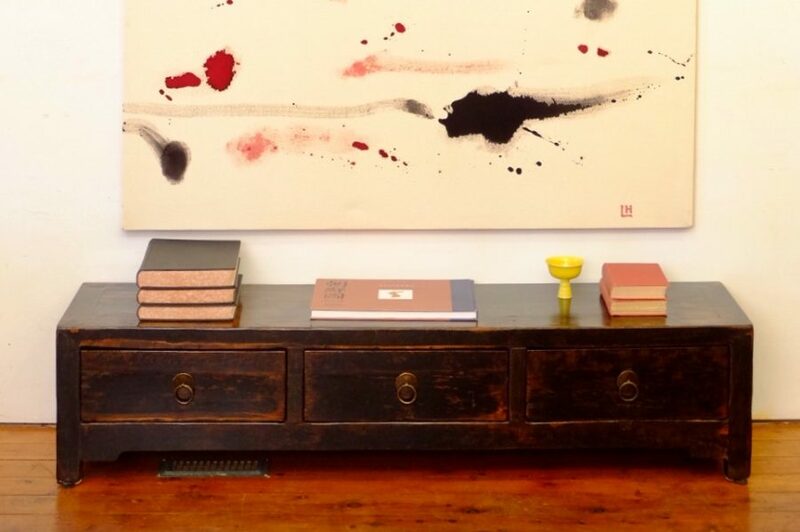 #15084 is a four-drawer sideboard with extended top made from northern elm. 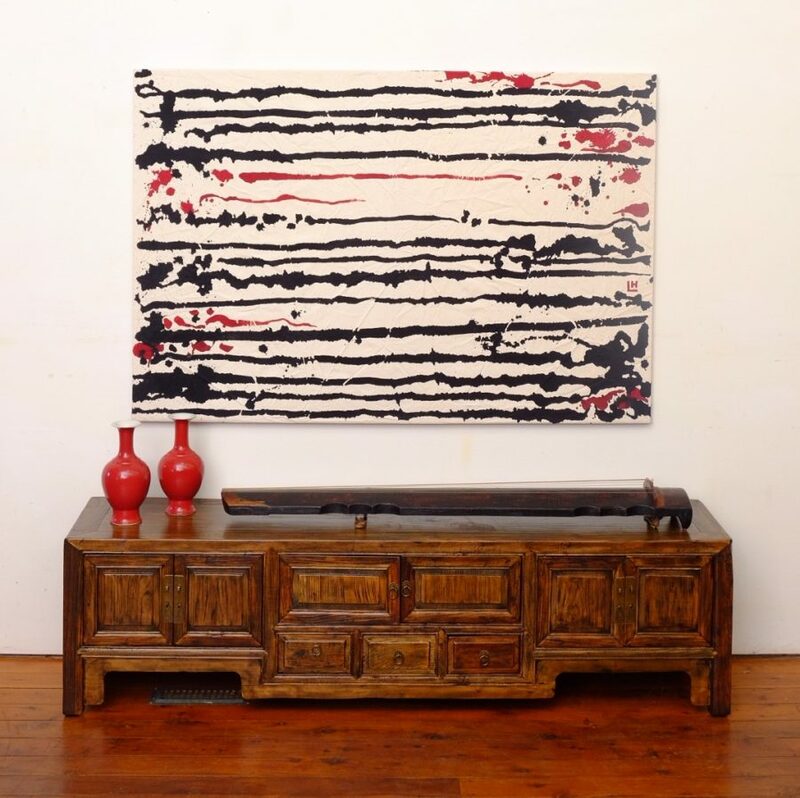 It dates from the early 1900s and originated in Shanxi province. It measures 180 cm long, 38 cm deep and 85 cm high. 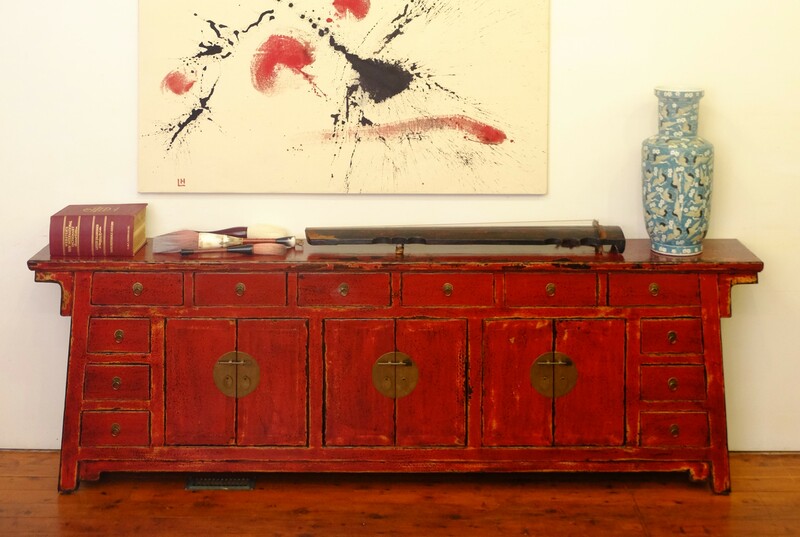 #15042 is a red four-drawer sideboard made from northern elm in the early 1900s in Shanxi province. It is 180 cm long, 44 cm deep and 84 cm high. 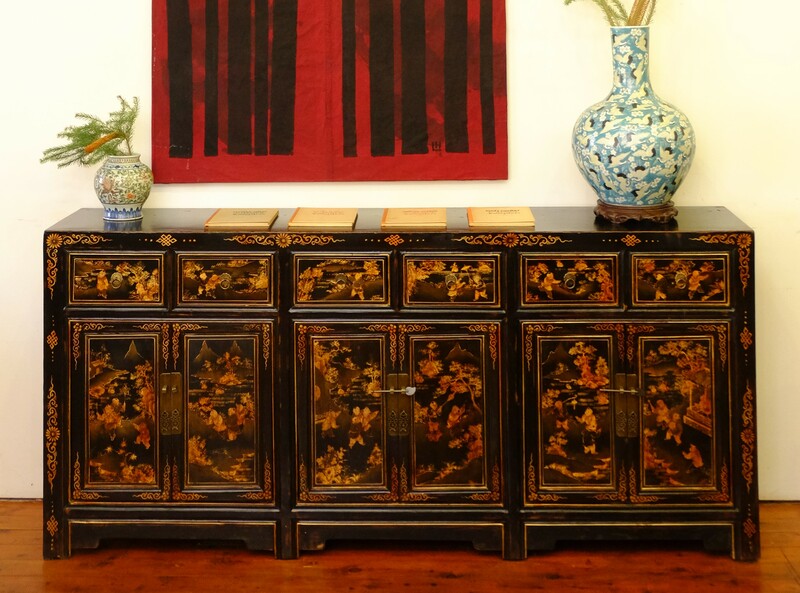 #15082 is a black gilt painted six-drawer sideboard made from northern elm in the early 1900s in Shanxi province. It is 200 cm long, 42 cm deep and 90 cm high. 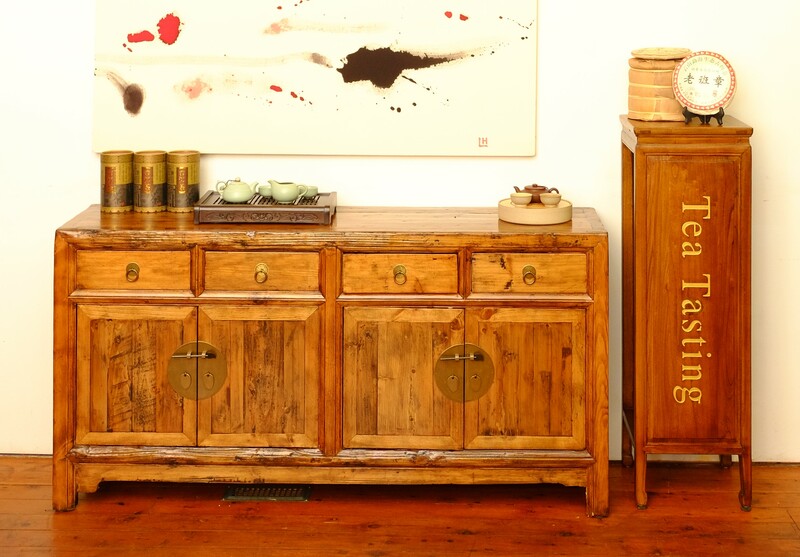 #820042 is an art Deco style sideboard with five drawers, two doors and two comparttments with secret lcoks. 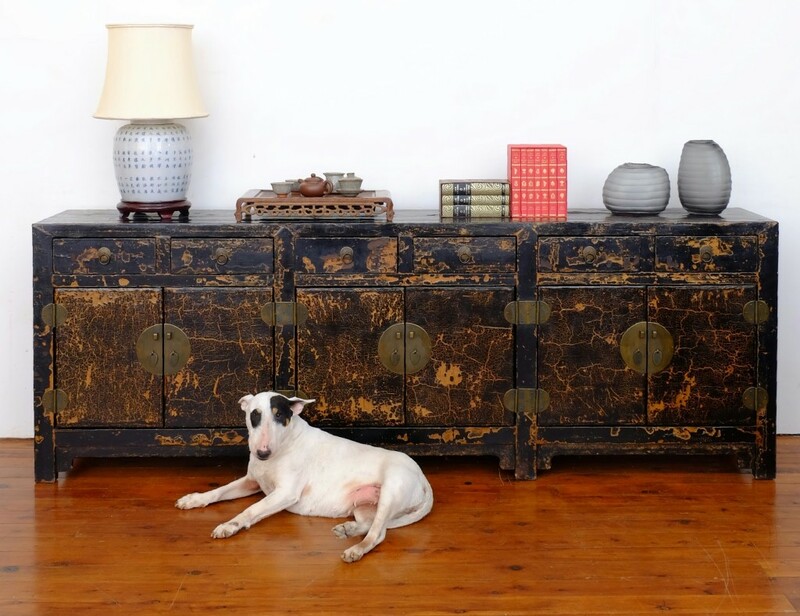 It is made from Catalpa wood, dates from the early 1900s Tianjin province. It is 140 cm long, 43 cm deep and 84 cm high. 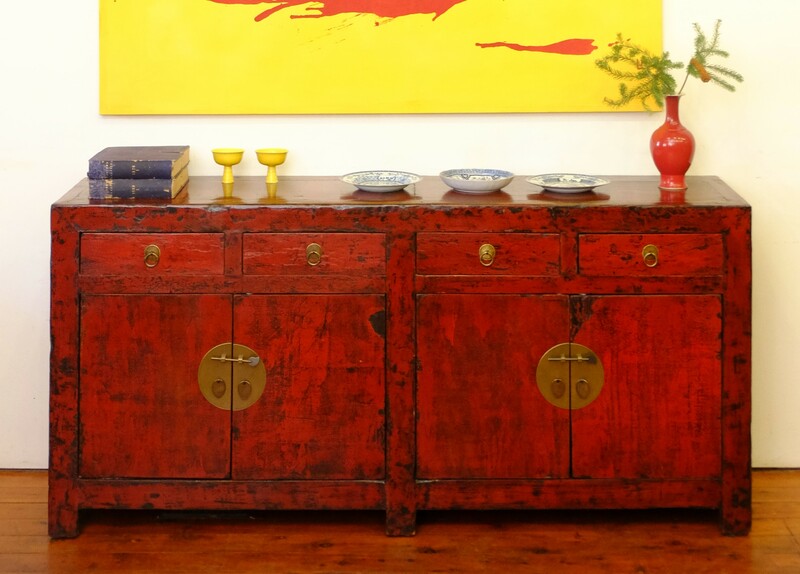 #15030, a six-drawer, carved and painted red sideboard would brighten any room. 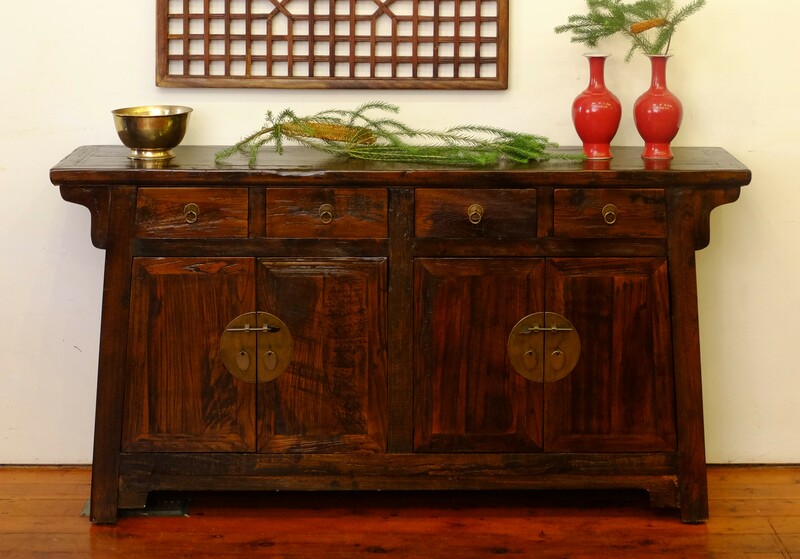 It dates from the late 1800s, is made from willow and comes from Ningxia province. It is 200 cm long, 43 cm deep and 91 cm high. 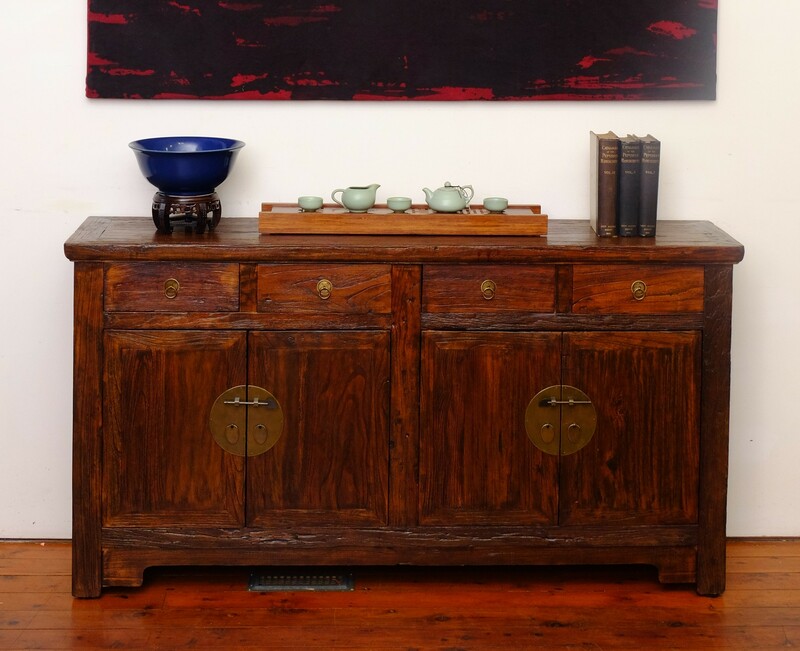 #13201 This low elm sideboard, was made in the early 1900s in Shanxi province. It is 172 cm long, 36 cm deep and 72 cm high. 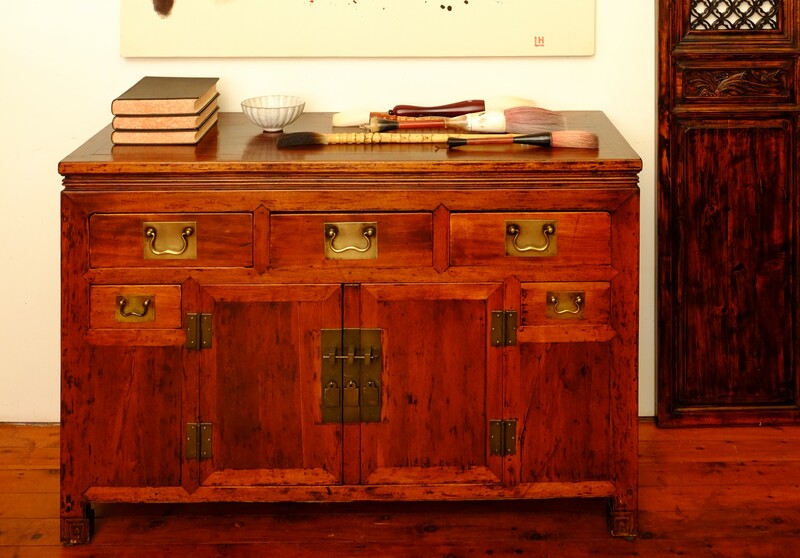 #15024 is a nine-drawer low sideboard made from northern elm in the early 1900s in Shanxi province. It is 184 cm long, 39.5 cm deep and 65 cm high. #15069 With 6 small doors and 3 small drawers, this low unit would make a practical base for a television. 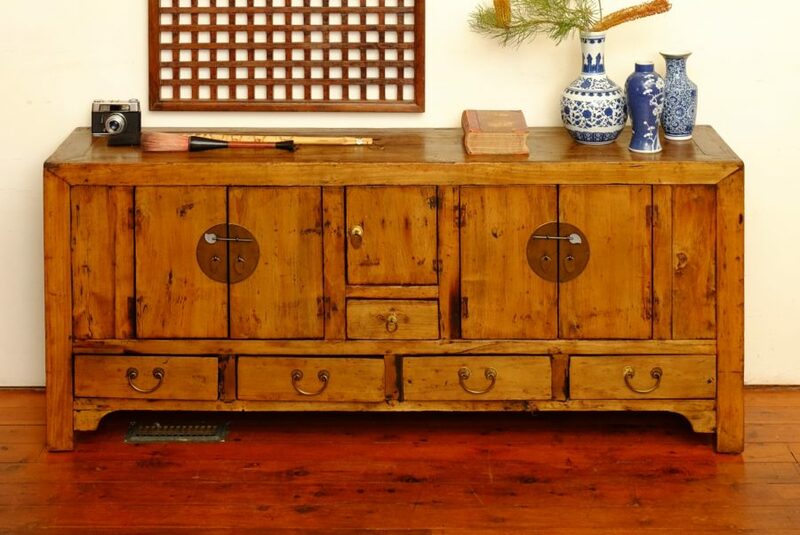 It is made from northern elm and comes from Shanxi province. It is 166 cm long, 40 cm deep and 45 cm high. #112024 This black lacquered unit is made from northern elm, has 3 useful drawers and would make a practical base for a television in a smaller room. 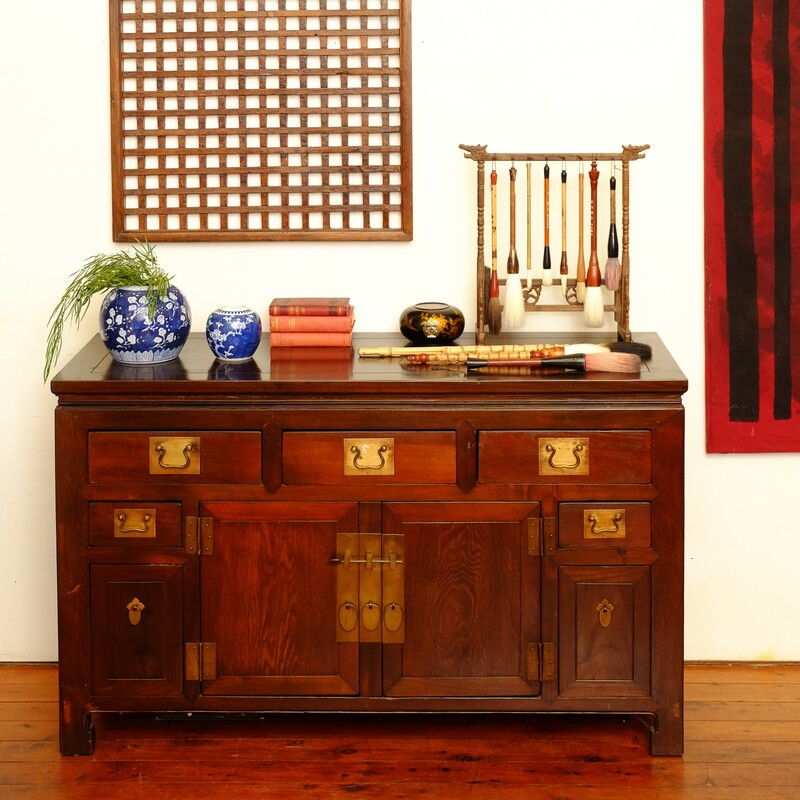 It dates from the late 1800s and comes from Shanxi province. It is 160 cm long, 38 cm deep and 37 cm high. 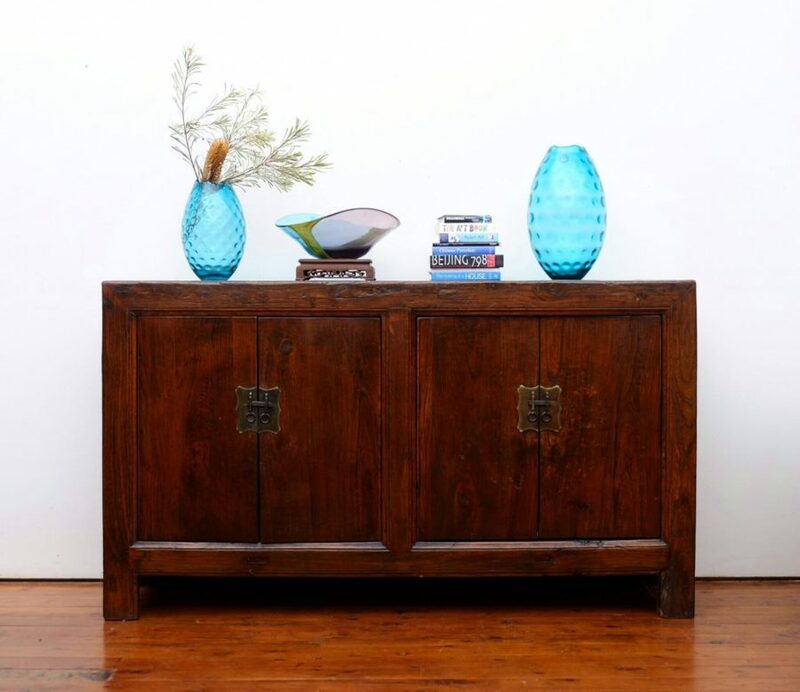 #120021 The simple lines of this 4-door elm sideboard/cabinet sit well in a variety of decorating styles, from minimalist to country. 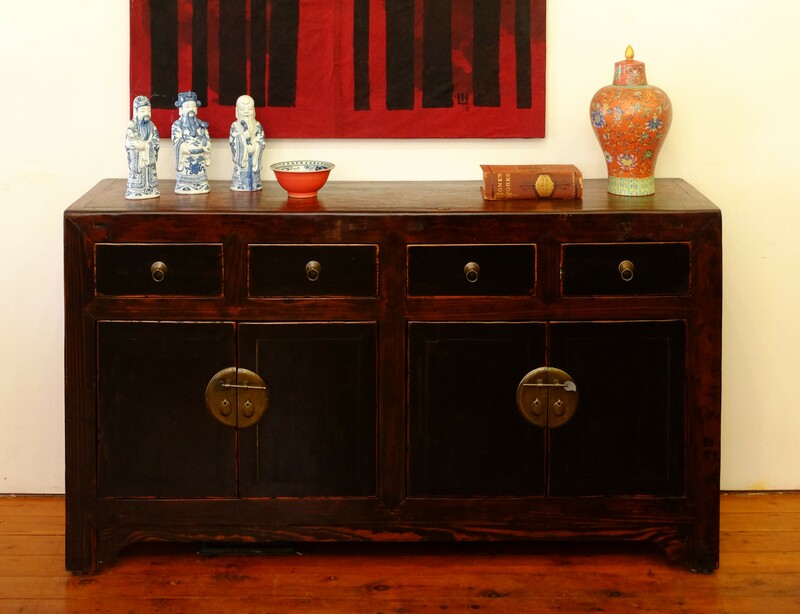 Dating from the early 1900s, it originated in Shanxi province and provides generous storage. It is 158 cm long, 47 cm deep and 89 cm high.